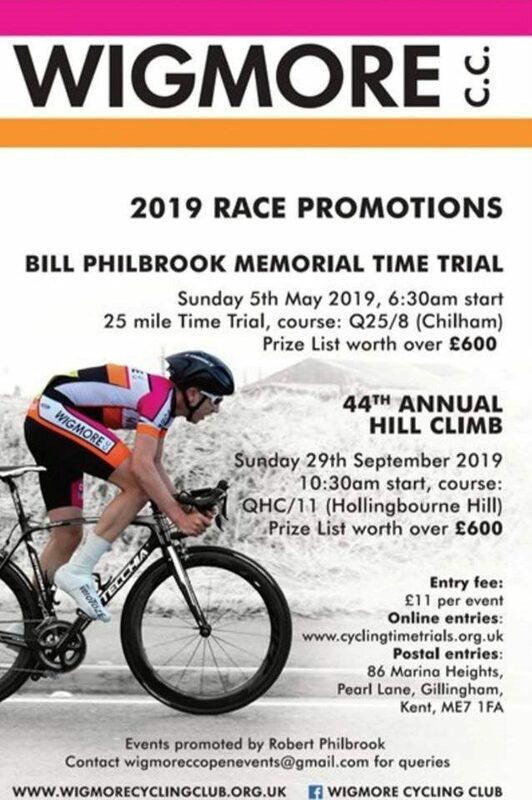 Come and join in Wigmore CC 2019 time trial events this season, there are so many opportunities to race during the week as the light evenings are now with us. 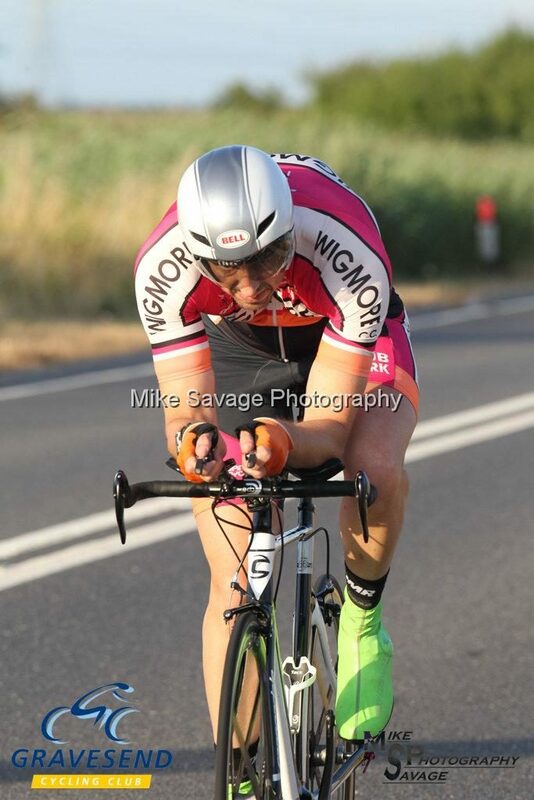 The Wigmore TT series comprises of 17, 10-mile events being held every Wednesday evening from the 24th April through to the 14th August, these events start approximately at 7pm. They will be mainly held at the Iwade circuit course (5, two-mile circuits), in addition, a few events will be held at Harrietsham and also the Isle of Grain. 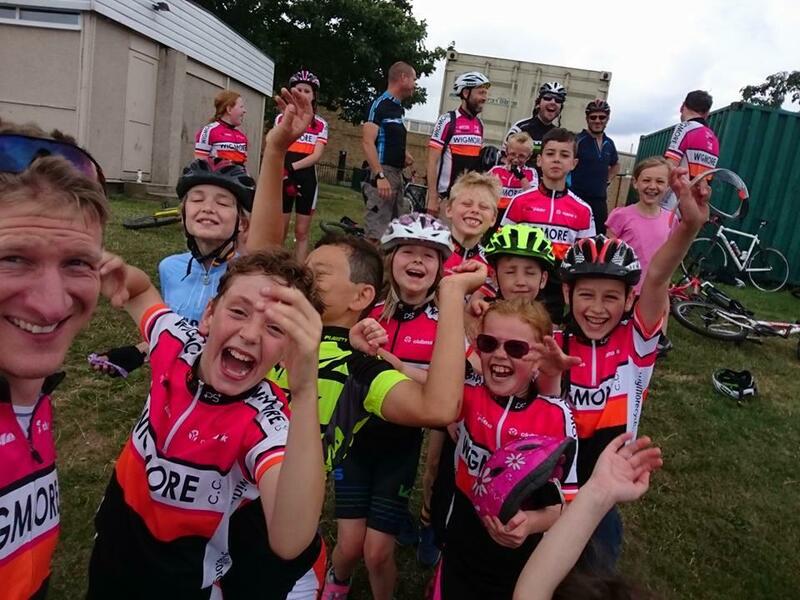 In addition, for the more serious competitor, there are 30 open events, being promoted by various clubs throughout Kent (Wigmore hosting two of these events this season). These events will be held on Saturdays and Sundays all the way until mid-October. For those not familiar with Time Trialing, it is a very simple facet of cycle sport, in that you compete over a set distance (normally 10 or 25 miles, although a few longer events are on the calendar for the endurance specialist). Setting off at one-minute intervals, against the clock, then it’s just down to you to complete the set distance as fast as you can manage, with all the times of the competitors recorded and listed, with the fastest competitor’s time being declared the winner. In open events, for every year over 40 years of age you will be awarded a time bonus, set by the Veterans Time Trial Association, so regardless of how old you are, you can still be competitive with the younger riders when your time bonuses are added to your actual time. 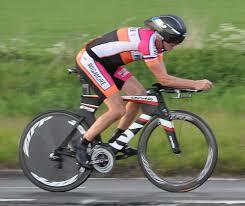 Although time trialling can be considered a solitary sport, it is still in my opinion very sociable, as for example after the evening 10s at Iwade, most riders that have competed that evening will meet up in the Woolpack public house for a well-earnt pint, and if your hungry a curry as well !!. This will then be your opportunity to discuss your ride in detail with your fellow competitors, ie, if it was not so windy on that back straight I would have been a minute quicker this evening, or when I bolt on my new race wheels next week I will definitely beat you !! *Any issues with the A20 (e.g., road works, Operation Stack, excessive traffic, etc), the event will be held at Grain on the Q10/24 course with Gravesend on the proceeding Tuesday, starting at 19.15. Best of 8 for Vets and handicap competition. Best of 8 for Scratch competition. Best of 10 for overall evening league. Below are the meeting points for our Club Time Trials. We had a fantastic time at Bedgebury on Saturday 16th February. 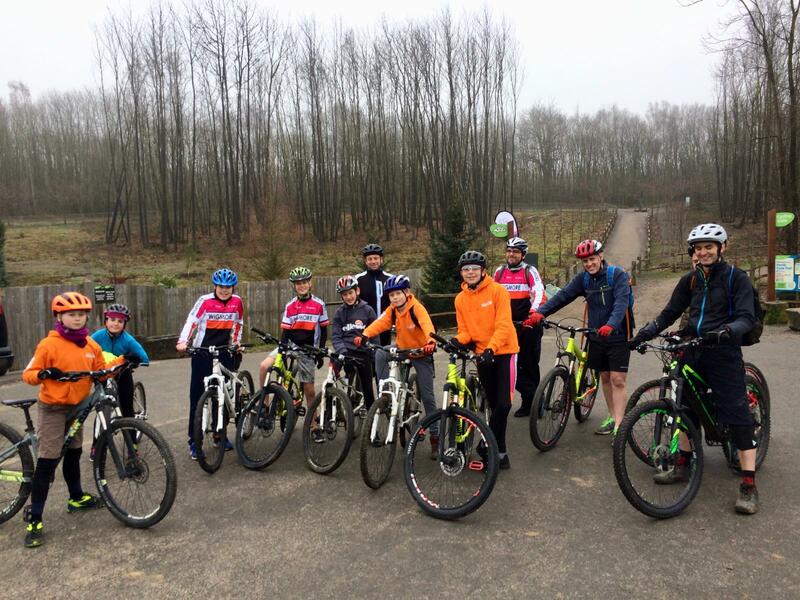 There was a group of around 16 Wigmore riders and over 20 if you include coaches and parents that went for a blast around the beautiful mountain bike trails deep in the heart of the beautiful Kentish countryside. We divided into two groups. The older rides were guided around by Paul and Phil. The younger riders were kindly guided by Stewart (Seth and Flynn’s dad) ably assisted by Jon and Mike. In the end, it was a difficult task to get everyone to stop riding and retire to the cafe for a cake! – even after two goes at the glorious final “Cake Run” trail. Always good to see a track rider on a mountain bike – maybe stick to the boards in future Phil?! 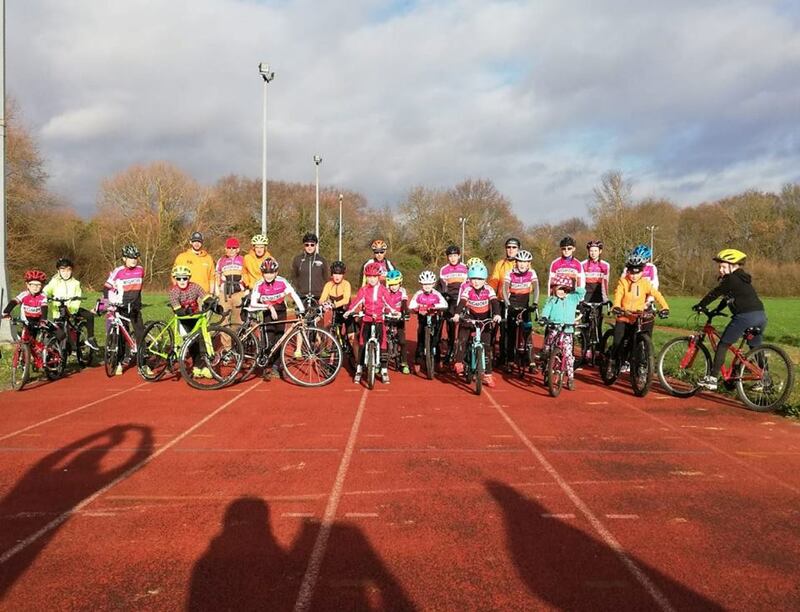 It was the National Cyclocross Championships at Cyclopark on the weekend of 12th and 13th January 2019. The club was there in numbers, maybe not racing (not yet) but plenty of spectators and some of the club coaches were helping out marshalling. There was some amazing super strong performances. In the elite races Tom Pidcock, amongst others, looked truly invincible and lovely to see lots of big names from the CX world out in force (Helen Wyman, Ian Field, Ben Tulett, etc., etc). Thanks to Luke and Rowan for the photos. 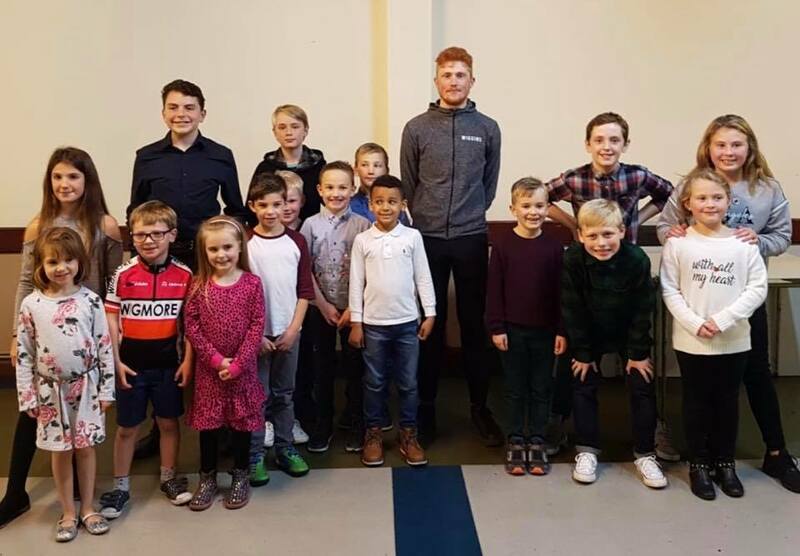 Huge thanks to Ollie Robinson from Team Wiggins for coming along to present the awards and talking to us about his time in Go-Ride and amongst the professional riders. He was just brilliant! 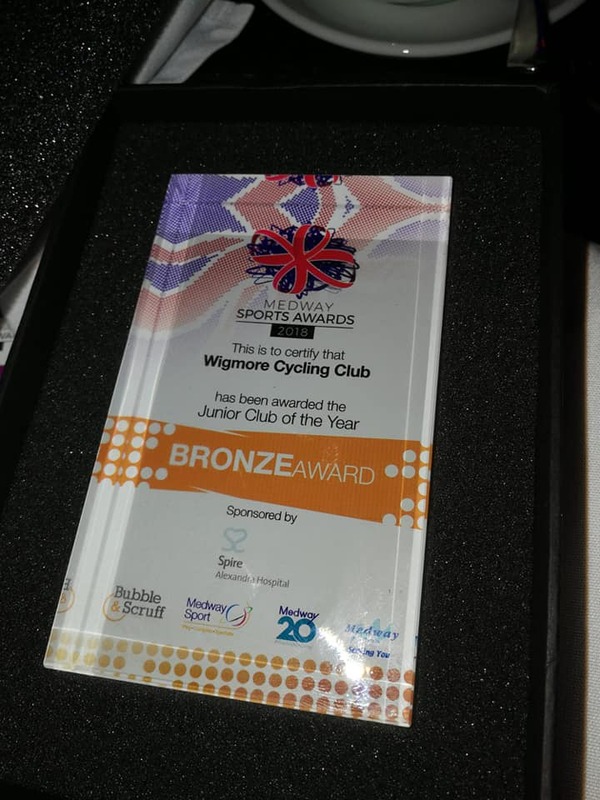 We won Bronze for “Junior Club of the Year” @MedwaySportsAwards! It was a great night and thrilling to be part of the evening showcasing all the brilliant work of volunteers and professionals in sport throughout Medway. Eleanor Oldroyd from Radio 5 was hosting the event and double Winter Olympic gold medallist Lizzie Yarnold was the guest of honour. It was a truly amazing to share the evening with so many people who give so much time and energy to sporting endeavour. You really don’t know what’s going on out there. Inspirational. Well done everyone involved in the club. What an amazing morning we had over at Deangate Ridge Athletics Track on saturday morning. Well done to all 22 riders that came along and joined the fun. Looks like you all worked really hard, and had some excellent races – some real battles out there. The full results tables are below, with the results and scores from every single race! Congrats to Frankie Finch who took the win in the Cat A group, and to Henry Stevens who dominated the Cat B group. Hannah & Jake, and Joseph and Edward also got to stand on the podium in their respective race categories. And a very special well done goes to young Edith Fautley, who won the Performance of the Morning award for her heroics in the final race of the day. Even the adults got in on the fun and had a 4km scratch race at the end, with Phil narrowly pinching the win from Jamie on the line. We hope you enjoyed the racing, and fancy doing it again sometime? There’ll be all sorts of racing happening next year, so keep your eyes out for local events. This is awarded to the rider with the fastest time in a 10 mile T.T. It’s called a Scarp. It is sometimes inlaid with bricks and stones and the steeper it is, the more effective it becomes. Opposite the Scarp is the Counterscarp and together these two ramparts form the basis of a defensive ditch used to keep invaders from the fortress.